Whole Food vs. Synthetic Vitamins- What's the difference? Whole Food vs. Synthetic Vitamins- What’s the difference? There is a huge difference in the efficacy of supplements that are made of whole foods, versus supplements that are produced in a lab. Unfortunately, most of the supplements that are commercially available are synthetic. Synthetic supplements do not perform the same functions in the body than supplements that are made of whole foods. Synthetic supplements will produce nutritional imbalances in the body and can tax your kidneys before being excreted through the urine. Ever wondered while these high potency “vitamin B” pills make your urine extremely yellow? Because your body recognizes them as foreign and tries to get rid of them as quickly as possible! Synthetic supplements are isolated portions of the whole vitamin complex, which are chemically produced in a lab. 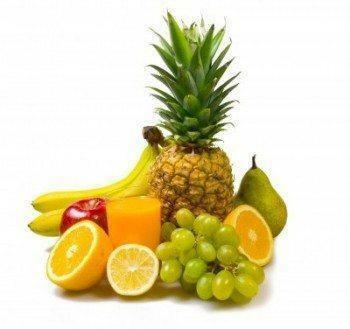 A good example is Vitamin C.
Vitamin C is a complex, made up of hundreds of different components like enzymes, co-enzymes, co-factors and minerals that work synergistically together to produce the desired effects. So you can see the difference- whole foods naturally provide all the factors- known and unknown – to produce the desired effects in the body. Synthetic supplements can never supply your body with everything it needs to make full use of them- and worse, the body has to use other nutrients from the tissue to make use of the synthetic part-which in the long term will lead to depletion of other nutrients. So how do you know if the supplements you have at home are synthetic? Just look at the ingredients. If the label doesn’t mention the source from where the vitamin stem-like Acerola berries, apples, carrots, etc., but only mentions e.g., “ascorbic Acid”, you can bet it is a synthetic supplement. In this case – toss them! To stick with our example of vitamin C.: A supplement made of whole foods naturally never has extremely high amounts of only one isolated component like Ascorbic Acid. So maybe you will read: Ascorbic Acid: 4mg. (in one tablet) Then again, compared to a synthetic supplement it will read: Ascorbic Acid: 1000 mg. So don’t make the mistake to think more is better! Remember, 4 mg of Ascorbic Acid found in a whole food supplement is more potent than 1000mg of Ascorbic Acid found in a synthetic product. Since the whole food supplements comes with all the co-factors needed to make full use of it. Like the old saying: An apple a day keeps the doctor away! Previous Post Mercury: Poison in your mouth Next Post Soy- healthy or not?